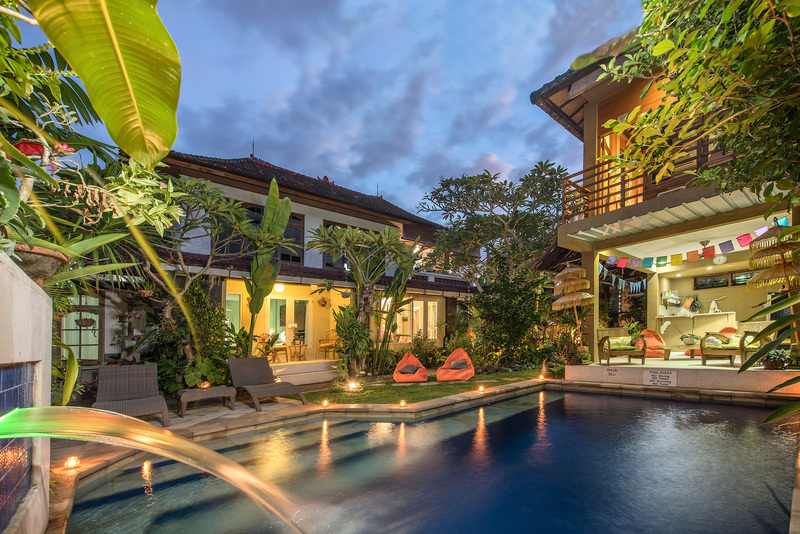 Photo Gallery – Angel House Mas Ubud – Angel House Ubud. Boutique 3 suite hotel or Whole Villa Rental. Authentic Bali experience. Unique Accommodation. April 20, 2019 April 11, 2019 Angel House Ubud: Whole Villa or book 1 of 3 only boutique suites. March 21, 2019 April 11, 2019 Angel House Ubud: Whole Villa or book 1 of 3 only boutique suites. February 10, 2019 April 11, 2019 Angel House Ubud: Whole Villa or book 1 of 3 only boutique suites. Nyepi ( meaning “to keep silent”) falls on the day after the dark moon of the spring equinox when the day and night are of approximately equal duration. In 2018 Nyepi Day Of Silence begins on 17th March at 0600 and lasts till 060018th March. Day in Bali is a New Year celebration unlike anywhere else on the planet. Bali’s celebrates the Saka New Year as the Bali Day of Silence, an ultimately quietest day of the year, when all of the island’s inhabitants abide by a set of local rules, which brings all routine activities to a complete halt. Roads all over Bali are void of any traffic and nobody steps outside of their home premises. Most Balinese and visitors regard it as a much-anticipated occasion. Some expats and those coming from neighbouring islands prefer escaping Bali for the day rather, due to restrictions that surround the observance. Some visitors check coinciding dates ahead before their Bali trip, avoiding it altogether. Nyepi is worth experiencing at least once in a lifetime, especially since the preceding and following days offer rare highlights to behold! Hotels are asked to cover their windows, all shops are closed, all! No light or candle will be lit in any Balinese home, no cars on the road, no motorbikes, no people. It’s indeed a special experience, not only for the Balinese but also for all the visitors and tourists that are on Bali during Nyepi Day. If you are in Bali during Nyepi make sure you do not plan any traveling or outside activities. September 25, 2018 Angel House Ubud: Whole Villa or book 1 of 3 only boutique suites. Hindu trinity: Brahma the creator, Wisnu the preserver and Siwa the destroyer. 1) Sit quietly, men cross-legged, women kneeling to calm yourself and breathe in harmony in preparation for prayer. 2) Wash your face and hands in the smoke of the incense. 3) Praying with empty hands to connect to your own soul. 4) Hold a flower in your fingertips to pray to the supreme One. 8) Wait quietly for the Pemangku to come around and sprinkle holy water on you and may be ‘blessed’ rice as well. September 22, 2018 November 12, 2018 Angel House Ubud: Whole Villa or book 1 of 3 only boutique suites. Angel House gives guests an authentic and culturally appropriate experience. Guests are always dressed correctly unlike the tourists in this article This NOT the way to show respect in Bali! September 10, 2018 September 10, 2018 Angel House Ubud: Whole Villa or book 1 of 3 only boutique suites. September 10, 2018 Angel House Ubud: Whole Villa or book 1 of 3 only boutique suites. Our guests often ask for the recipe of our famous Jamu served either hot or cold at breakfast! So now I have provided the recipe so you can make your own at home to boost your mood, feel more energy and reduce inflammation! Angel House Ubud Balinese-Aussie Jamu Recipe It will never be the same taste as the Angel House version but…it is a very good substitute and will remind you of the fabulous breakfasts Angel House Ubud serves. 1/2 cup finally chopped yellow or white TURMERIC or a mix of both (if you are lucky to source in your local Asian supermarket). 1/2 cup finally chopped fresh GINGER or if you can substitute Galangal root. 1/4 – 1/2 cup palm sugar or 2-3 tabs of Raw Honey (or sweeten to taste after cooking). JUICE OF: 5-10 limes OR 3-5 Lemons OR 3 fresh Grapefruit. In a large saucepan or stock pot, add ingredients and 2 litres of water and bring to the boil. Simmer with LID OFF for 30-45 minutes until it gets a slightly creamy texture and water is reduced to approx. 1.5 litres. Poor into clean and sterilised bottles and store in the fridge.